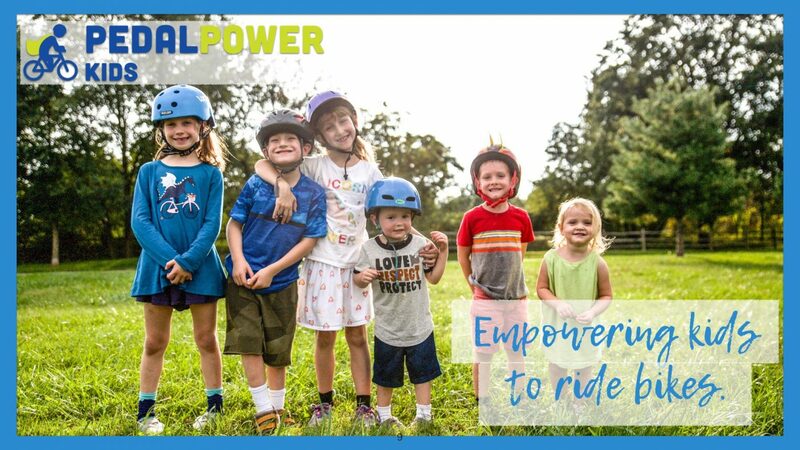 This week for our episode of Around the Block in Annapolis we interview Rachel Varn with Pedal Power Kids, a business which focuses of teaching kids to ride bikes! After our oldest (Leo, 5) was having confidence issues trying to get rid of training wheels. We signed him and our youngest (Gage, 2 at the time, now 3) up for lessons and Leo was riding with no training wheels the FIRST lesson!! And Gage, was riding around no training wheels by the second lesson, at AGE TWO!!! 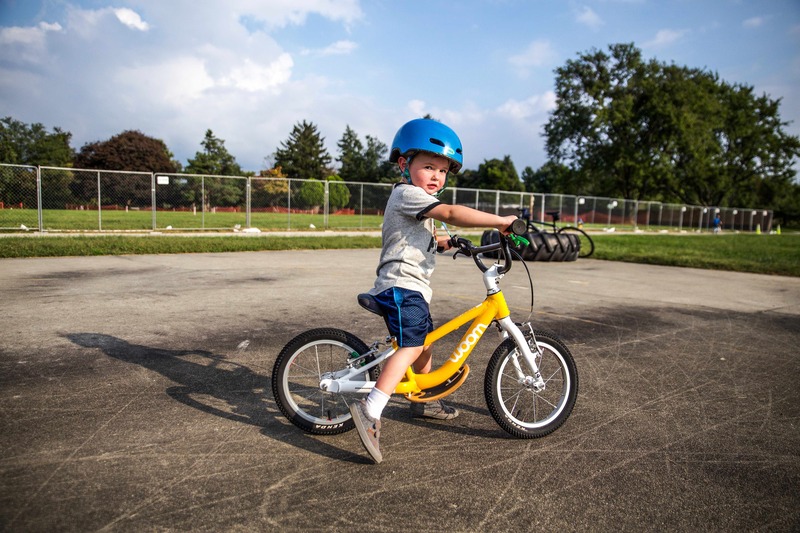 What are some common struggles children have when learning to ride a bike? A lot of kids have a tough time learning to ride, and a lot of it kind of comes from confidence and just knowing that they can do it. So at Pedal Power Kids we really start by teaching children to balance. A lot of little kids will start out on a balance bike. Maybe you’ve had one of these at home, and maybe it’s just collecting dust in the garage. A two year old, three year old may not just get right on this bike and immediately start riding, start gliding. Takes a little while to develop a trust factor, and for them to develop confidence in their own abilities, but this is where we start. And we actually start with this same concept all the way up to adults. Once we’ve learned to balance and to glide and to lean to turn, then we move on to pedals. So that lean to turn aspect is really important. So just a tip for parents, if your kid is already on a scooter and pretty good at a scooter, they are probably more ready to ride than you think. Another thing a lot of kids do is over steering. They do a lot of turning the handle bars back and forth. You’ll notice that if you have a brand new rider, the more handle bar turning they do, the more likely they are to fall. What does it normally look like when a family works with Pedal Power Kids? Now, if this has been a big source of frustration for you as it has with a lot of families, that’s what I’m here to help with. So if it’s sort of turning into some roadblocks between you and your child, that’s sort of where we come in. And so at PedalPower Kids, your kid comes to lessons with me. They are scheduled online, on demand just works with your schedule, and typically we have them riding in one or two lessons. Our first lesson is always 90 minutes, and that gives us time to get to know each other and to really, really work on that gliding motion. For probably three quarters of the kids that I work with, age dependent, they’re doing some form of riding on two wheels in that first lesson independently. And then we work on developing their bike skills and their bike safety. Typically families buy a package of four or six lessons and just about 100% in terms of kids who are riding very confidently by the end of those four lessons. My goal with Pedal Power Kids is to be able to get more kids on bikes everywhere. 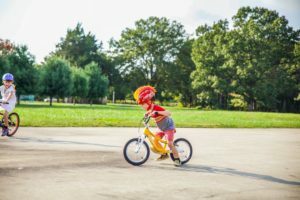 Do you offer continuing support once my child learns to ride? So once they’re done with lessons then I’ve got bike clubs. So I’ve got weekend and weekday bike clubs where I have kids who are already riding. A lot of them are graduates of my lessons or my camps, and they just wanna keep riding, and they want to improve their skills. I do a lot in the county parks and on trails. Do we need to have a bike? So one of the great things with Pedal Power Kids is that we bring the bikes. We use bikes from a company called Woom. They are super lightweight. Weight is a big factor. So most kids bikes can weigh three quarters of their body weight, and if I put you on a bike that was three quarters of your body weight and asked you to move forward, you’d have a tough time as well. They have kid specific, kid sized brakes. Fear of not being able to stop is a big factor for kids. This makes it really easy for them to stop. Everything is kind of kid sized. They even have steering limiters. Can you help us find the right bike for my child? 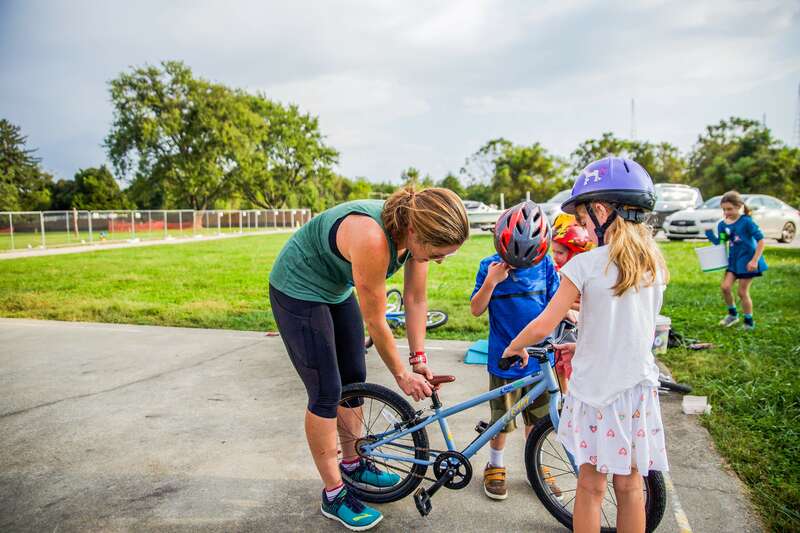 When you’re done with lessons and you’re riding, I can help you in terms of getting on that next bike, and then also helping kids get comfortable on that next sized bike, because the bike that is the right size for your child is probably bigger than what’s gonna seem comfortable. You’ll see a lot of kids with their new big bike, they don’t know how to get on and off the bike properly. So mounting and dismounting, we work on that, so that they can swing a leg over the bike correctly and just feel really confident about their abilities. My child is older, and I’m worried I’ve waited to long to teach them how to ride a bike. You know, it’s not too late. I know a lot of people feel like okay, this is something I’ve missed the window for with my kid. If we’re working with a teenager or a kid that’s a little bit worried about, okay I don’t wanna be doing this lesson near my middle school or near my house. My friends are gonna see me. They don’t have to worry because we can work around that. One of the most rewarding parts for me is a lot of kids that I work with might have a goal in mind. They wanna be able to do bike to school day, or they wanna be able to do their boy scout, camp out. So we work towards those goals so that they can be part of whatever that activity is with their friends. Rachel Varn of Pedal Power Kids is great, and her equipment and methods are amazing. Leo loves bike club on the weekends as well! Check out our video all about her company! Be sure to check out our other episodes of Around the Block on our blog and over on our YouTube channel.